The ABT BREAM Series is better than ever in 2014. A great new website, excellent venues, and more opportunities for anglers and sponsors alike will make 2014 one of the best years to be a tournament angler. One big change that comes with 2014 is a new Series Naming Sponsor, 13 Fishing. 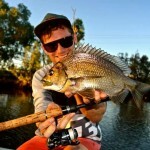 13 Fishing is only relatively new to our Australian shores, but the US Based tackle company has experienced huge growth in the USA and by all indications the same trend is beginning to happen here in Australia as well. 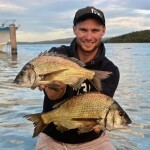 “It was a great fit for us, partnering with ABT to present the 2014 BREAM Series,” said Tom Slater, marketing for 13 Fishing Australia. 13 Fishing is not just a rod company either, they recently announced the launch of their new CONCEPT baitcast reels which will see a worldwide release on March 17th, only a few weeks away. 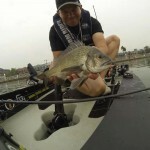 They will be providing some excellent prizes for all tournament fisherman in 2014, so whether you’re a bream, bass or barramundi angler there will be something to interest you from their fast growing product range. 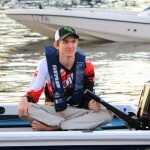 Four qualifying rounds (Sydney Harbour, Clarence River, Mallacoota Inlet and Gold Coast) will culminate in one huge Grand Final to be held on the Hawkesbury River in late 2014 and 13 Fishing will be there every step of the way showing its support for the premier fishing tournament series in Australia. “It was a natural fit for a young vibrant brand like 13 Fishing to partner up with ABT this year, after the modernisation of the ABT Website and the new approach to the tournaments for 2014, it made sense to us and to the guys at ABT, and we are stoked to be the series naming sponsor for 2014,” concluded Tom.